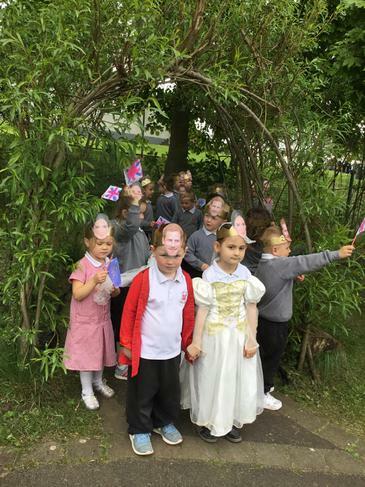 Royal Wedding Fever hits Fort Hill Nursery! Fort Hill Nursery pupils have spent the week preparing for the BIG Royal Wedding making cupcakes, flags, crowns, bunting, invitations and gathering flowers for the big day! Megan and Harry lookalikes Maya and Noah (voted by the pupils) rose to the occasion and all the pupils really enjoyed the festivities, especially the 'street party' lunch. See the 'Nursery' page for more photos.